My littlest is an October baby. She was born a week before Halloween and I only had one halloween-y outfit for her, which she wore to a pumpkin patch and completely swallowed her up. I remember that when it came time to go trick-or-treating with my then 16-month-old daughter I wanted my newborn to be comfy, so I dressed her in a simple onesie and situated her snugly into her sling. Looking back, I was glad she was comfy that night, but I still wish, for the sake of pictures and such, that I had at least dressed her in a more festive onesie. Please, don’t make my mistake. 😉 Make a couple of these. 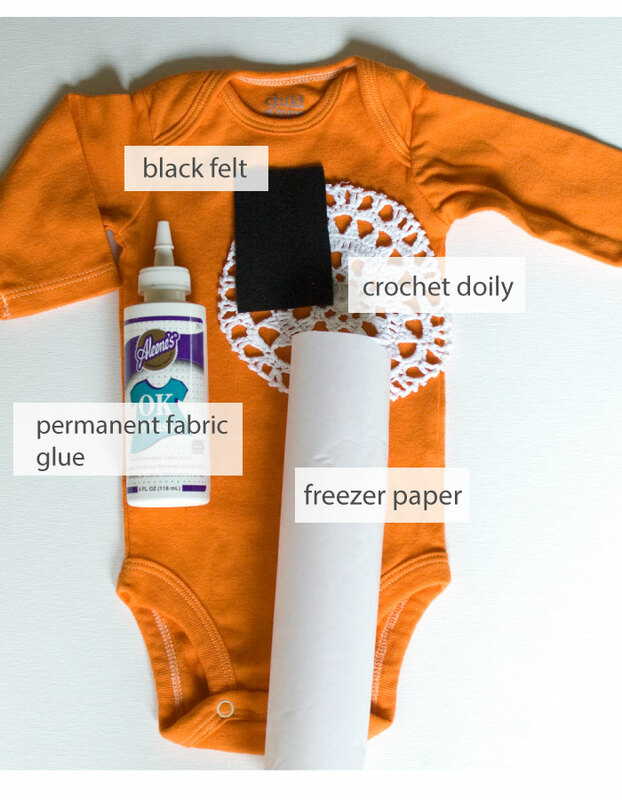 They’re so easy and so fun to make that there’s no reason for your little one to not be dressed for the occasion this Halloween. To start with, pick up some onesies in whatever size you need. 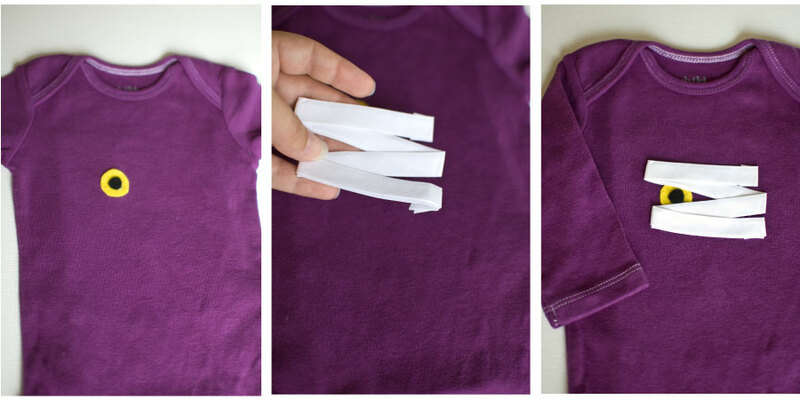 I made these in size 0-3 months, but you can adapt the tutorial to any size, even a regular t-shirt for your big kid. If you can find them in the right color…Awesome! 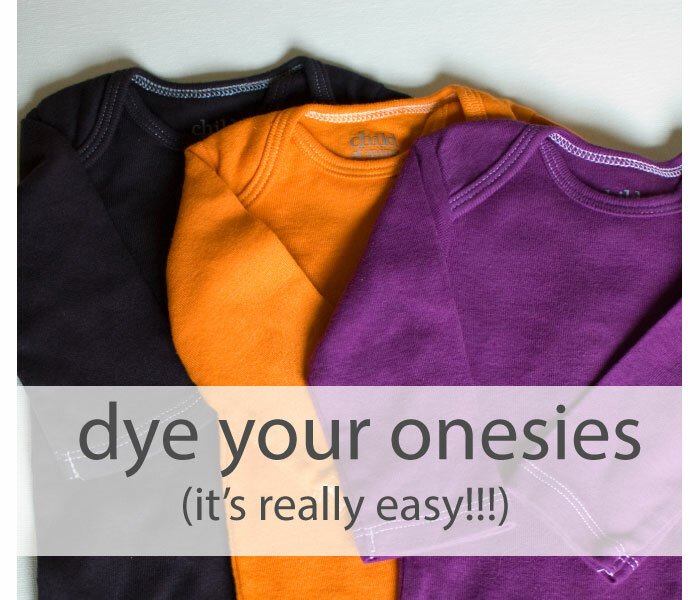 If not, just pick up some RIT and follow Dana’s instructions for dying fabric. I dyed these in purple, orange, and black and the color came out beautiful on all of them. 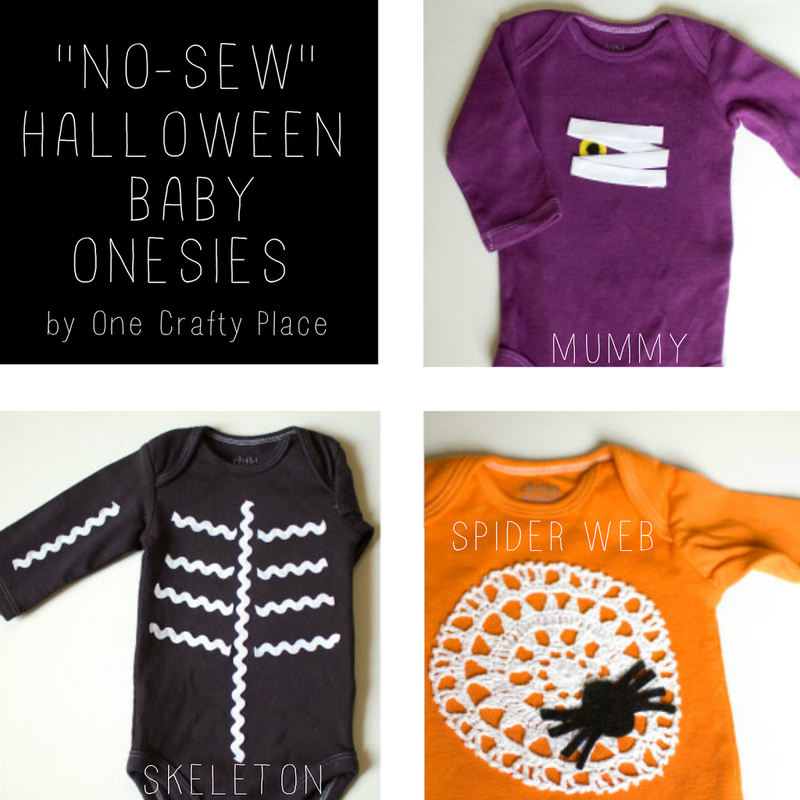 How adorable is every single one of these Halloween onesies?!! Chrissy THANK YOU for being our guest today! Make sure to head on over to One Crafty Place to check out Chrissy’s awesome-ness. Also find Chrissy on Pinterest, Facebook, and Twitter!! Thanks, Kari! I’m honored to be able to share my onesies with your readers! 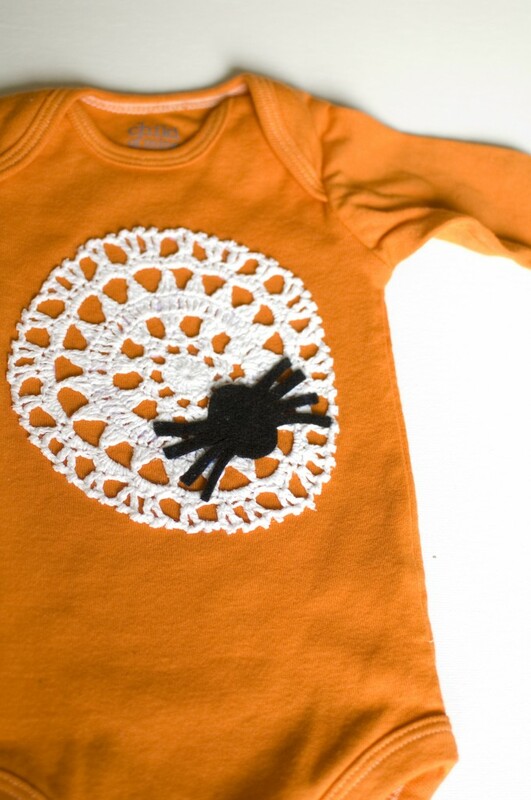 Babies are going to looks adorable sportin’ these this Halloween! Thanks again Chrissy! Adorable. 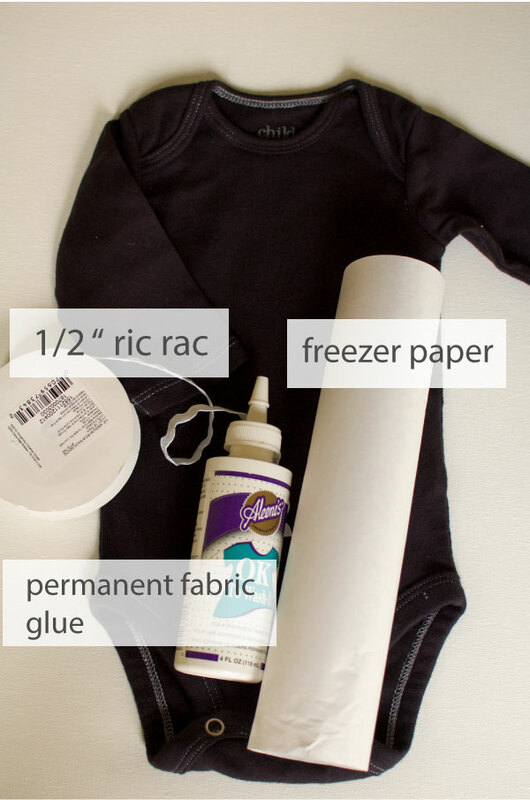 I have a onesies pinboard and just pinned this. OH MY WORD…these are the cutest things ever! I love how cute and EASY these are! Oh my goodness! 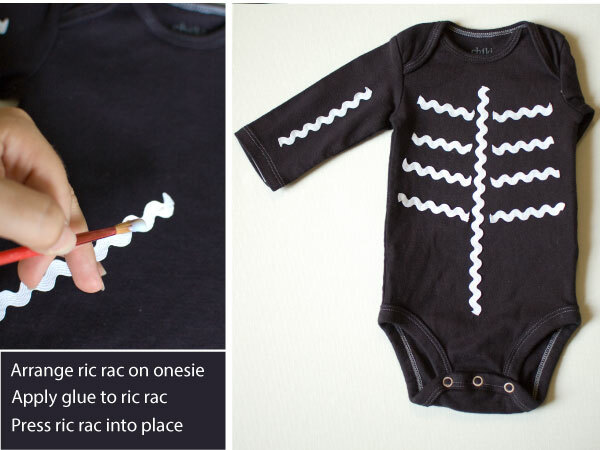 These onesies are so adorable! Pinned!